On page two of the FT there is a longer article elaborating on the new Chinese rail system, highlighting its superiority over the US rail service: The Chinese ultra-modern train takes passengers between two major cities, 1,100 kilometers, in less than 3 hours whereas the US Amtrack ‘Express’ takes 3 ½ hours to cover 300 kilometers between Boston and New York. While the US passenger rail system deteriorates from lack of investment and maintenance, China has spent $17 billion dollars constructing its express line. China plans to construct 18,000 kilometers of new track for its ultra-modern system by 2012, while the US will spend an equivalent amount in financing its ‘military surge’ in Afghanistan and Pakistan, as well as opening a new war front in Yemen. China builds a transport system linking producers and labor markets from the interior provinces with the manufacturing centers and ports on the coast, while on page 4 the Financial Times describes how the US is welded to its policy of confronting the ‘Islamist threat’ with an endless ‘war on terror’. The decades-long wars and occupations of Moslem countries have diverted hundreds of billions of dollars of public funds to a militarist policy with no benefit to the US, while China modernizes its civilian economy. While the White House and Congress subsidize and pander to the militarist-colonial state of Israel with its insignificant resource base and market, alienating 1.5 billion Moslems (Financial Times – page 7), China’s gross domestic product (GDP) grew 10 fold over the past 26 years (FT – page 9). While the US allocated over $1.4 trillion dollars to Wall Street and the military, increasing the fiscal and current account deficits, doubling unemployment and perpetuating the recession (FT – page 12), the Chinese government releases a stimulus package directed at its domestic manufacturing and construction sectors, leading to an 8% growth in GDP, a significant reduction of unemployment and ‘re-igniting linked economies’ in Asia, Latin America and Africa (also on page 12). While the US was spending time, resources and personnel in running ‘elections’ for its corrupt clients in Afghanistan and Iraq, and participating in pointless mediations between its intransigent Israeli partner and its impotent Palestinian client, the South Korean government backed a consortium headed by the Korea Electric Power Corporation in its successful bid on the $20.4 billion dollar nuclear power deal, opening the way for other billion-dollar contracts in the region (FT – page 13). While the US was spending over $60 billion dollars on internal policing and multiplying the number and size of its ‘homeland’ security agencies in pursuit of potential ‘terrorists’, China was investing $25 billion dollars in ‘cementing its energy trading relations’ with Russia (FT – page 3). 1. Washington pursues minor military clients in Asia; while China expands its trading and investment agreements with major economic partners – Russia, Japan, South Korea and elsewhere. 2. Washington drains the domestic economy to finance overseas wars. China extracts minerals and energy resources to create its domestic job market in manufacturing. 3. The US invests in military technology to target local insurgents challenging US client regimes; China invests in civilian technology to create competitive exports. 4. China begins to restructure its economy toward developing the country’s interior and allocates greater social spending to redress its gross imbalances and inequalities while the US rescues and reinforces the parasitical financial sector, which plundered industries (strips assets via mergers and acquisitions) and speculates on financial objectives with no impact on employment, productivity or competitiveness. 5. The US multiplies wars and troop build-ups in the Middle East, South Asia, the Horn of Africa and Caribbean; China provides investments and loans of over $25 billion dollars in building infrastructure, mineral extraction, energy production and assembly plants in Africa. 6. China signs multi-billion dollar trade and investment agreements with Iran, Venezuela, Brazil, Argentina, Chile, Peru and Bolivia, securing access to strategic energy, mineral and agricultural resources; Washington provides $6 billion in military aid to Colombia, secures seven military bases from President Uribe (to threaten Venezuela), backs a military coup in tiny Honduras and denounces Brazil and Bolivia for diversifying its economic ties with Iran. 7. China increases economic relations with dynamic Latin American economies, incorporating over 80% of the continent’s population; the US partners with the failed state of Mexico, which has the worst economic performance in the hemisphere and where powerful drug cartels control wide regions and penetrate deep into the state apparatus. China is not an exceptional capitalist country. Under Chinese capitalism, labor is exploited; inequalities in wealth and access to services are rampant; peasant-farmers are displaced by mega-dam projects and Chinese companies recklessly extract minerals and other natural resources in the Third World. However, China has created scores of millions of manufacturing jobs, reduced poverty faster and for more people in the shortest time span in history. Its banks mostly finance production. China doesn’t bomb, invade or ravage other countries. In contrast, US capitalism has been harnessed to a monstrous global military machine that drains the domestic economy and lowers the domestic standard of living in order to fund its never-ending foreign wars. Finance, real estate and commercial capital undermine the manufacturing sector, drawing profits from speculation and cheap imports. 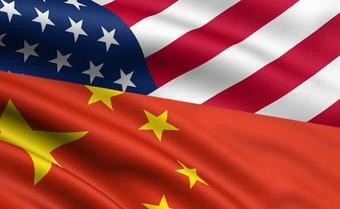 China invests in petroleum-rich countries; the US attacks them. China sells plates and bowls for Afghan wedding feasts; US drone aircraft bomb the celebrations. China invests in extractive industries, but, unlike European colonialists, it builds railroads, ports, airfields and provides easy credit. China does not finance and arm ethnic wars and ‘color rebellions’ like the US CIA. China self-finances its own growth, trade and transportation system; the US sinks under a multi trillion dollar debt to finance its endless wars, bail out its Wall Street banks and prop up other non-productive sectors while many millions remain without jobs. China will grow and exercise power through the market; the US will engage in endless wars on its road to bankruptcy and internal decay. China’s diversified growth is linked to dynamic economic partners; US militarism has tied itself to narco-states, warlord regimes, the overseers of banana republics and the last and worst bona fide racist colonial regime, Israel. China entices the world’s consumers. US global wars provoke terrorists here and abroad. China may encounter crises and even workers rebellions, but it has the economic resources to accommodate them. The US is in crisis and may face domestic rebellion, but it has depleted its credit and its factories are all abroad and its overseas bases and military installations are liabilities, not assets. There are fewer factories in the US to re-employ its desperate workers: A social upheaval could see the American workers occupying the empty shells of its former factories. Will we ever read about these in the Financial Times?